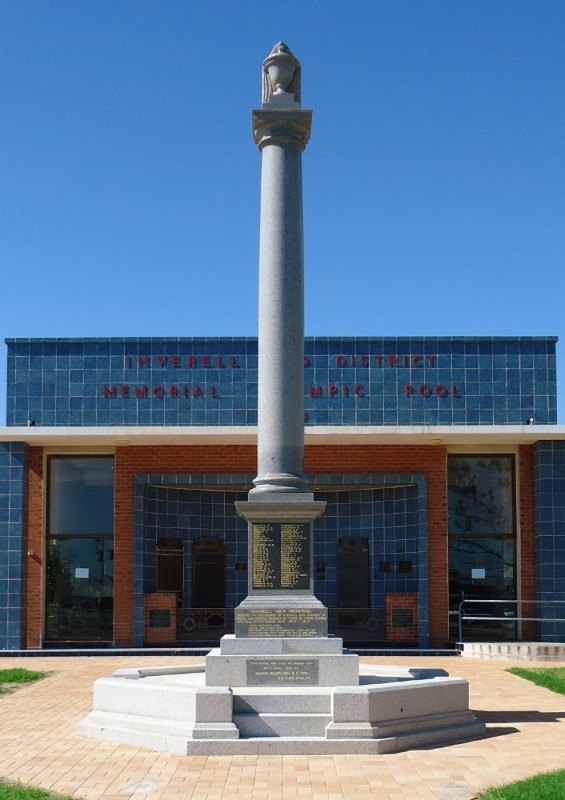 Inverell RSL Sub Branch has been overseeing the renovation and repair of the World War 1 Cenotaph and environs. A major change to the Cenotaph has been the gold applied to the inscribed lettering which now looks amazing and is so much easier to read thanks to assistance from the NSW Government. New pavers have been laid around the Cenotaph and a new National Servicemen's Memorial erected. Final landscaping is underway so all should be finished for Anzac Day 2015.